Ballycastle strand is one mile north of the village on the southern end of Bunatrahir Bay. Bordered by sand dunes it is ideal for sunbathing and the waters are clean and safe for swimming. A 15 minute drive in either direction will take you to Belderrig outdoor pool or to the beautiful sandy beach at Lacken. Ross beach, a blue flag beach is a 20 minute drive. The coastal waters around Ballycastle and Lacken are growing in popularity with scuba divers and the entire coastline provides a range of spectacular dives. 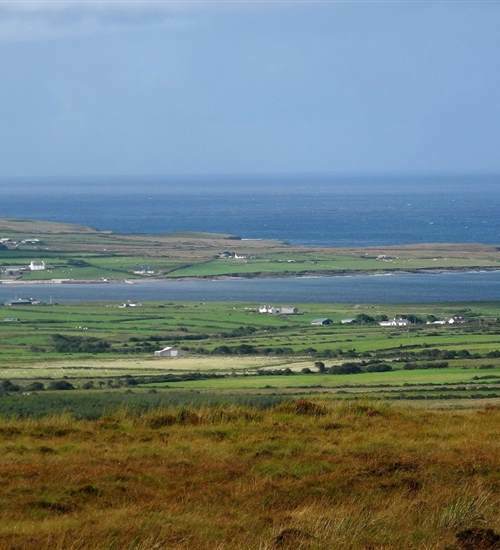 The unpolluted waters, excellent visibility and abundant sea life all contribute to make this area of North Mayo an attractive location for diving enthusiasts. Sheltered launching areas and suitable diving conditions ensure that diving can take place for nine months of the year.